Looking for a new midrange laptop for office or college or personal home use? Take a look at our list of top 8 best laptops under 45000 in India 2019. In this article, we have covered laptops from all big brands like HP, Dell, Lenovo, Acer, Asus. All these brands are well known across the world for their high-quality products and good after-sales service. The laptops on our list have the latest 8th Gen Intel Core i5 and i7 processors with 8GB of DDR4 RAM and 1 TB or 2 TB of storage. Some laptops also have 2GB Nvidia or AMD graphics card. Graphics card is very useful for playing games, editing videos and doing Machine learning and photoshop work. The laptops on this list are suitable for engineering students who need powerful hardware which can handle programming work and various software/applications. The laptops on this list are priced between Rs. 35000 and 45000. If you can spend a bit more, take a look at 10 best laptops under 50000. Let's take a look at the pros cons, specs, features and brief reviews of best laptops under 45000 in India. Dell is the best selling brand and most trustworthy brand in India and this is another good laptop from Dell. The build quality is fine but looks are too generic but a solid configuration. Inside we have an 8th Gen Core i5 processor with 4GB of RAM and 2GB AMD Graphics. So you are in for a super smooth performance with multiple or heavy software and high-end games. The display in a 14 screen with good viewing angles that adds to your viewing experience. It has 1 TB of internal storage space (HDD) that you can use to store documents or media files. The overall performance of the laptop is good and multitasking is smooth. It doesn't have Windows preinstalled so you have to install that on your own. Smooth performance, best service after sales and great build quality is what this Dell laptop offers at a price of under 40000. If you need a laptop for programming, gaming or heavy use which involves photoshop, video/image editing etc then this is a good option. Lenovo Ideapad 330 comes powered with an Intel i5 8th Generation processor and 4GB of DDR4 RAM. The chipset is powerful and the day to day multitasking works very smoothly. You can also play some medium to high-end games. It has a 15.6-inch display with HD resolution and the colors are bright and punchy so you will not face any issue working or playing games. Lenovo offers great service after sales and this laptop has a 1-year onsite warranty so if you face any issues, it can be sorted out easily. 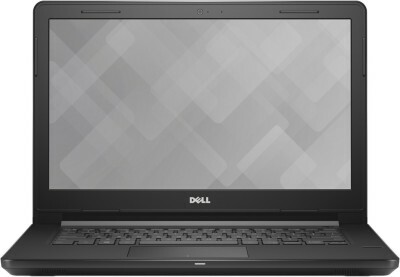 Dell is one of the top brands in the laptops category. They are known for high-quality products and excellent after-sales service. This laptop from Dell is a part of Inspiron 3000 series and comes with an Intel Core i5 chipset of the 8th generation. There is 4GB of RAM and 1TB of storage for your movies, games, videos, pictures, and documents. Thanks to the powerful chipset, the overall performance of the laptop is really good. You won't face any lag during the day to day usage. The 4GB RAM might be an issue if you use the heavy software. But then also there is always an option to add 4GB or 8GB extra RAM to handle multitasking. Windows 10 is already installed so you need not to do that yourself. This laptop also comes with integrated graphics so the gaming performance of the laptop isn't great. The laptop comes with a 1-year onsite warranty. As we already said, Dell has an extensive after-sales service network across India so you won't face any issues with that. 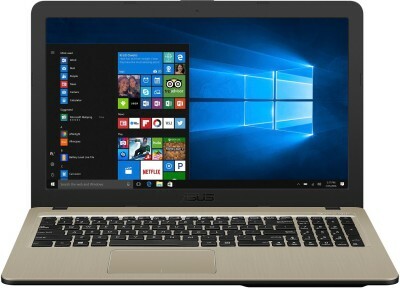 This is a laptop from Asus Vivobook series and comes with a powerful configuration. First, let's talk about the build and design. The laptop feels solid in hand and looks good as well. It weighs just 1.8 kg so you can carry it easily. The display is large 15.6 inches and has Full HD resolution. The images look vivid with good colors and viewing angles. Inside, you get 8th gen Intel Core i5 chipset with 8 gigs of DDR4 RAM and 2GB Nvidia Graphics. The graphics card is MX110. The laptop can handle multitasking easily. The graphics card is not the best out there but still a decent one if we consider the price of the laptop. You can use it for casual gaming without any issues. Video editing, programming work for engineering students and professionals will also be smooth. There is a 1TB hard disk to store your data. It comes with the Windows 10 operating system preinstalled. Overall is it one of the best laptops under 45000 in India. HP is one of the big brands in India in the laptop category. This laptop from HP is from their 15 series. It comes with a 15.6 inch Full HD resolution display which is bright with good contrast and saturation levels and HP calls it Widescreen BrightView Display. It has good viewing angles and you will not face any problem while surfing or watching movies. The laptop is powered by 8th gen Intel Core i5 processor which is a good power efficient midrange chipset. You will see this chipset on most of the laptops in this price range. It runs at 1.6 GHz with a turbo boost of up to 3.4 GHz. There is 8GB of DDR4 RAM to assist multitasking and 1TB of hard disk drive storage which is an excellent specification with HP brand tag under 45000. The laptop also comes installed with genuine Windows 10 OS. The laptop handles everyday usage like MS Office, browsing the web, watching movies with ease. It is a very good laptop for business or college use. The laptop weighs 1.77 Kg so it is very easy to carry around. The battery inside the laptop is 4 cell and will deliver a backup of around 6-8 hours on a single charge. It also comes with fast charging capability and can completely charge the laptop in 90 to 100 minutes. There are 3 USB ports on this laptop, 2 of them are high-speed USB 3.0 ports which will come in handy while transferring data from the laptop to an external hard drive. As usual, there is one HDMI port to connect the laptop with external displays. Overall, this laptop is a perfect pick for someone looking for an HP brand and having a budget of 40k-45k. It is lightweight, has a bright display, pre-installed Windows 10 operating system, offers good battery backup and fast charging along with a powerful processor. So that was our list of best laptops under 45000 in India. We hope it was useful and you were able to find a suitable laptop according to your requirements and budget. If you are a gamer then you should go with a laptop with a dedicated graphics card. Video editors, Machine Learning or AI researchers should also opt for a laptop with graphics memory. All laptops covered on our list have DDR4 RAM which is faster and more efficient than DDR3. If you are still confused then take a look at our favorite.